cool streams of water running up and down. This is what I feel when I put my hands on people in my Craniosacral Therapy practice. And then sometimes I feel: pushing, resisting, curving left or right, holding, stagnating, solid bundles of energy where the fluid wants to go but can’t. We are between 60-75% fluid, so while it may seem a bit “out there” to some, it is quite simple to tune into the subtle flow of fluid movement throughout the body. 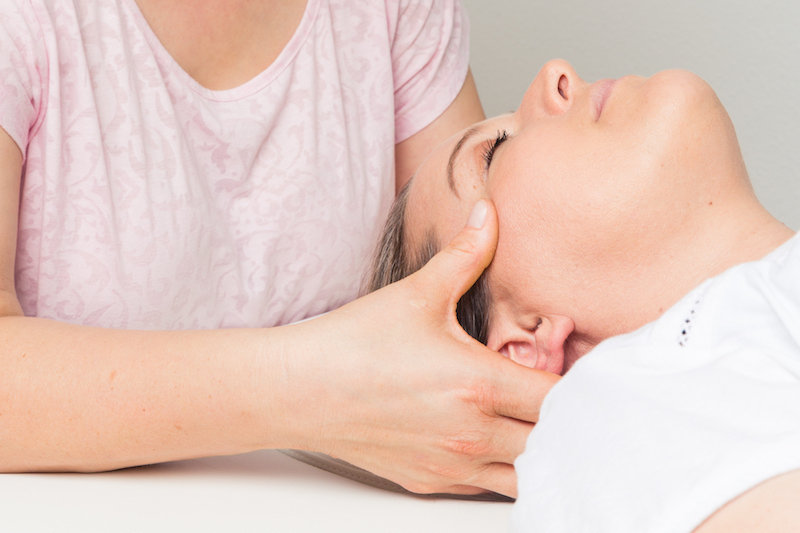 This deep listening is the foundation of Craniosacral Therapy (CST). CST was created by Dr. John E. Upledger (1932-2012) based on the teachings of osteopathy, his clinical research at Michigan State University in the 1970s and 80s, and his own gifted hands-on work with thousands of patients all over the world. He founded the Upledger Institute in 1985, which today offers training programs in over 100 countries. One of Upledger’s first discoveries was that there was a fluid pulsation emanating from the spinal cord. He actually saw this pulse before he felt it, during a back surgery in the 1970s. Later, he tried to find it with his own hands by placing them lightly on his patients’ backs. He found that in healthy bodies, the dural pulse occurred at 6-12 cycles per minute. And what’s more, he felt the pulse when he put his hands on their heads as much as their tailbones, and even down to their feet. Thus was born Craniosacral Therapy. Much like measuring blood pressure or heart rate, overall health can be determined by measuring this pulse, now called the Craniosacral Rhythm. And a vast variety of ailments can be eased through CST, including migraines, neck and back pain, scoliosis, nervous system disorders, autoimmune disorders, digestive issues, depression, and trauma anywhere in the body. What is so special about CST is that it uses barely any pressure, is completely non-invasive, is done with the client fully clothed, and supports the natural healing potential of every single cell in the body, because every single cell is surrounded by and filled with… fluid! In CST, practitioners like myself, following Dr. Upledger’s elegant but powerful protocols, assess and improve the quality of this fluid flow by holding gently onto parts of the skull, spine, and pelvis. There is a lot of waiting. Sometimes it takes a few minutes to feel and follow the subtle call of the fluid. It’s like meditating by the side of a babbling brook, trying to sense the way the water moves over and through the rocks. We also gently pull on the ears, decompress the jaw, release the shoulders, and ground energy and fluid down to the feet. My favorite part is when I ever-so-lightly traction the skull, with my focused intention in the dural tube surrounding the brain and spinal cord. Even with only 5 grams of pressure (the weight of a dime) I can feel the twists and turns as this soft tissue winds it way down the back, within the vertebrae. I can also feel the roadblocks along the way. It is really amazing. I invite you all to experience a CST session with me at the gorgeous new Wellness Center at MindBodySoul very soon!